The Cabana Sling Club Chair features a design that is both commercial grade and stylish. 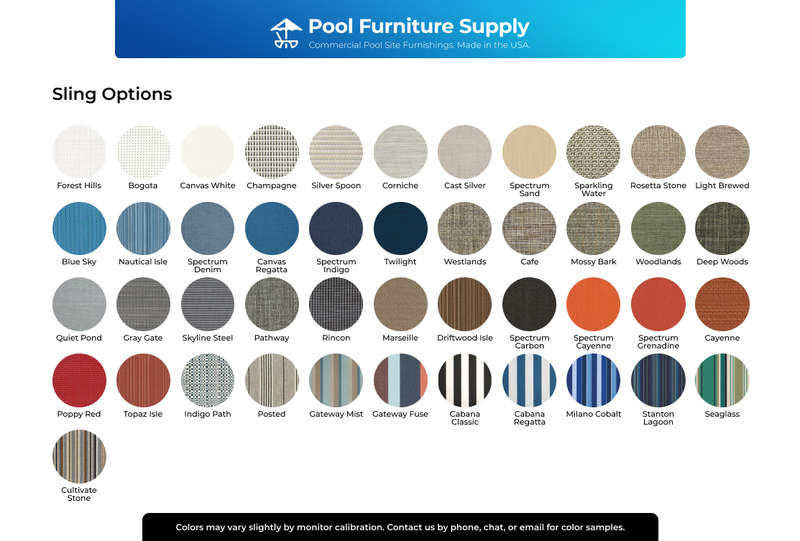 Tropitone pool furniture is made to withstand frequent use in world-class hotels and resorts all around the country. 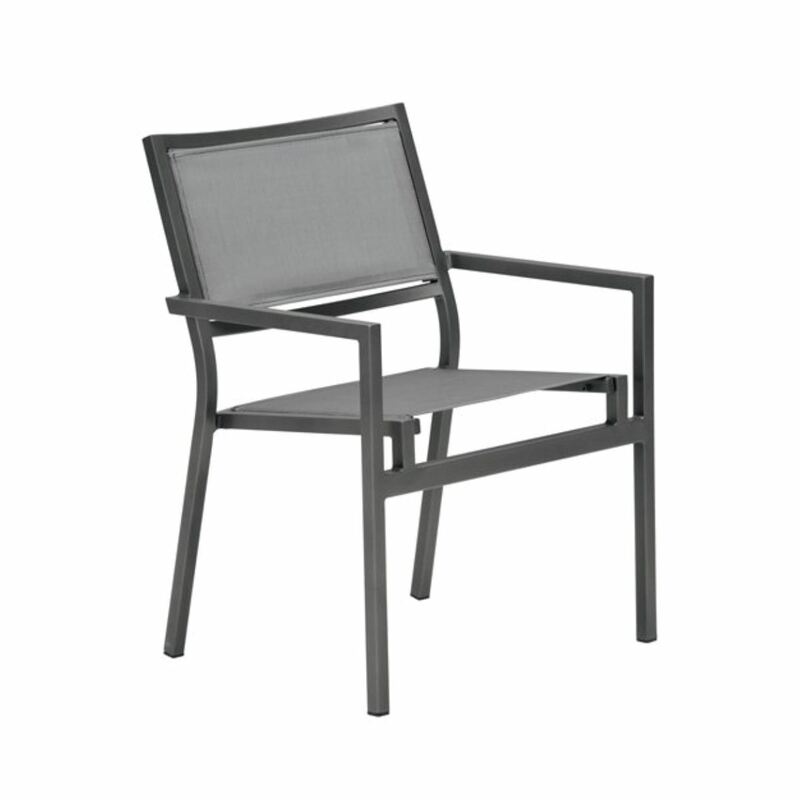 This modern dining chair will add sophisticated style for bistros or hotel poolside. 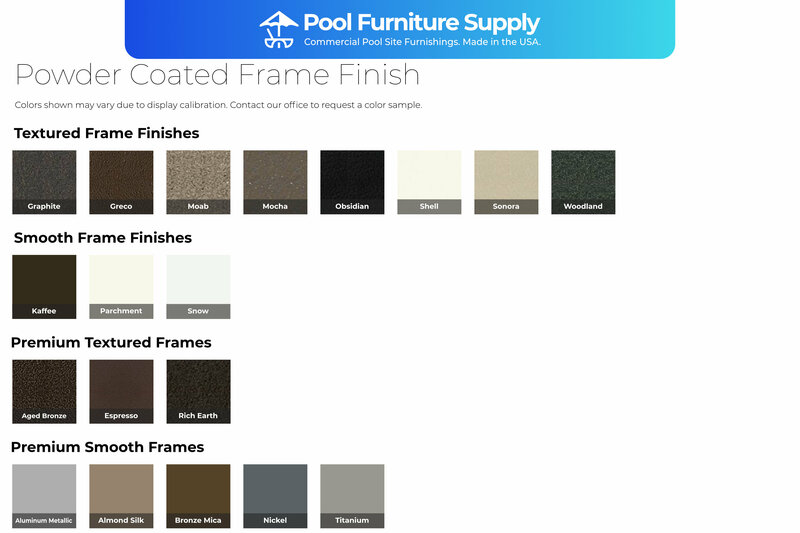 The powder coated aluminum frames and fabrics are available in a variety of colors, making the collection perfect to complement other patio pieces.